The decision to reform the liturgy at Vatican II was closely allied to the purpose of the Council itself: renewal of the people of God, adaptation to the times, ecumenism and evangelisation, writes Good Samaritan Sister Ursula O’Rourke. The Constitution on the Sacred Liturgy (CSL) promulgated on December 4, 1963, was the first document of all the work of Vatican II. It was the culmination of the “Liturgical Movement” begun in the early nineteenth century in Europe which included international study weeks, papal letters and encyclicals, pastoral liturgical congresses in Europe and directives by various bishops. These were the catalysts that took us back to the earliest sources of the Church’s liturgy and provided the foundation for the liturgical reforms of Vatican ll. The decision to reform the liturgy was closely allied to the purpose of the Council itself: renewal of the people of God, adaptation to the times, ecumenism and evangelisation. The reform of the liturgy was critical to this agenda because in the liturgy, the Church expresses its true identity, and strengthens the people of God to go forth into the world and to carry on the mission of Christ. Over the past few years, several authors have reflected on the liturgical ‘state of the nation’. One of these, Rita Ferrone, in her book, Liturgy: Rediscovering Vatican II, outlines several concepts in the reform of the liturgy: the paschal mystery, liturgy as summit and source of the Church’s life, active participation, the renewal of the liturgical books, music, art and artifacts of the liturgy, and the education of both the clergy and the faithful. I believe these concepts are key in our understanding of what the reform of the liturgy envisioned. The ‘paschal mystery’ is the central theological concept of the liturgical reform. When we celebrate the liturgy, we enter into this saving work of Christ; it is the inner dynamism at the heart of the liturgy and we participate in this transforming event in every liturgical celebration. The ongoing pastoral challenge is for the people of God to live this profound mystery of the dying and rising of Christ in their daily lives. ”The liturgy is the summit toward which the activity of the Church is directed… it is the source from which all her power flows…” (CSL, 10). This statement highlights the dynamic between liturgy and life. The liturgy is the high point of our life of faith and from it we are able to live out the mission of the Church. The liturgy is the action of Christ and the Holy Spirit active in the Church and in people’s lives. Is the liturgy at the heart of people’s lives? Today there are so many activities that compete for people’s attention so that gathering with a worshipping community on Sunday often takes second place or even no place at all. Significant life-moments – marriages, funerals, sacraments with children – hold some importance, but regular gathering for Sunday Eucharist is not seen to be relevant. The “full, active and conscious participation of the people” (CSL, 14) demanded by the very nature of liturgy has been another key concept in liturgical renewal. Since Pope Pius X, this active participation, expressed in all the words, music, gestures and actions of the liturgy, has been foundational to the renewal begun by the liturgical movement. It includes being nourished by the Word of God (CSL, 51), praying the prayer of the faithful (CSL, 53), eating and drinking the body and blood of the Lord (CSL, 55), and with the priest, offering the sacrifice of Christ (CSL, 48). However, a large percentage of people still see the liturgy as being something that is done for them by the priest and other ministers; their participation is still passive rather than active. Participation goes deeper than encouraging everyone to join in the responses, the singing, the gestures and the processions. In his book, Called to Participate, Mark Searle discusses three levels of participation in the liturgy: participation in ritual behaviour; participation in the liturgy as the work of Christ; and participation in the life of God. The assembly’s consciousness of itself and its role in the action of the liturgy still requires catechesis by those involved in ongoing liturgical formation. The Constitution on the Sacred Liturgy says: “The study of sacred liturgy is to be ranked among the compulsory and major courses in seminaries and religious houses of studies, in theological faculties it is to rank among the principal courses” (CSL, 16). It goes on to say that pastors are to be imbued with the spirit of the liturgy and to grow in their own knowledge of it, so as to pass on an informed love for the liturgy to their people (CSL, 14, 18-19). The Constitution also stresses that those called to exercise liturgical ministries are to be given a thorough liturgical formation relevant to their ministry; programs are to be designed by various diocesan liturgy offices and implemented in parishes. This work of formation has had its highs and lows over the past five decades. A very significant concern has been the decline in the teaching of liturgy in seminaries. Often this teaching is conducted on a part-time basis, and because of time constraints, without the depth of presentation. Theological colleges and universities that serve the seminaries no longer offer liturgical studies as part of their tertiary courses. Yet, such commitment to liturgical formation is crucial, both at the academic and pastoral levels. The Australian Catholic University’s recently approved certificate course in liturgy gives some hope for the future! Future questions beg reflection on: the quality of liturgical leadership; the effectiveness of the proclamation of the Word; good preaching that is inspiring and speaks to people’s lives; the formation and evaluation of all liturgical ministries (including clergy); the appropriateness of liturgical music; and the suitability of our worship spaces. In spite of all of this, Jesuit priest, Keith Pecklers, remains positive. In his article, “Vatican II and the Liturgical Renewal: An Unfinished Agenda”, Pecklers concludes by saying that much had been accomplished and there is much for which to be grateful. There has been a renewed understanding of what it means to be baptised into Jesus Christ and to live the Gospel message in our world. I think we can take courage and have hope that the Spirit is guiding the Church and that this same Spirit will guide our liturgical future. We are a pilgrim people constantly being renewed, and the richness of our liturgical life will renew the Church of the future. This article is the third in a series commemorating the fiftieth anniversary of the opening of the Second Vatican Council. Good Samaritan Sister Ursula O'Rourke has a background in teaching and administration in Catholic schools throughout Queensland. 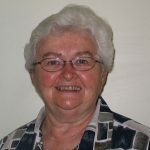 For the past 30 years she has been involved in liturgical education and consultancy at diocesan and national levels. She lives and works in the Archdiocese of Brisbane, and is currently on the staff at Holy Spirit Seminary, Banyo, teaching in the liturgical formation program. She is also a sessional lecturer in the School of Theology at the Australian Catholic University, Banyo.